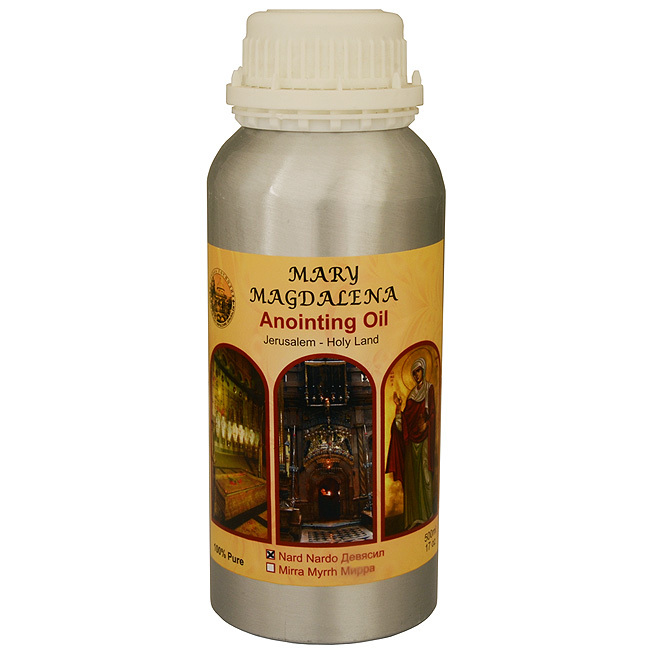 Quality Mary Magdalena Spikenard anointing oil created within the old city walls of Jerusalem. Spikenard anointing oil is probably best known from the following bible scripture. Size: 250ml. / 8.5 Fl. Oz. The word in Hebrew for spikenard is nerd. This word comes from a Semitic root NR which means to shine or light up. It is a reflected light. The light of the moon is a NR. Spikenard got its name from its ability to cause one to light up or reflect light. Shipped to you direct from the Holy Land.